The Novaya Zemlya archipelago, located in The Arctic Ocean in the northern Russian Arkhangelsk region has declared a state of emergency after dozens of polar bears ‘invaded’ human settlements, the Archangelsk governor and regional government said in a press release. “The decision to declare an emergency situation on the territory of Novaya Zemlya from February 9 was taken at a meeting of the commission tasked to prevent emergencies and ensure fire safety,” says the statement released on Saturday. “The emergency situation was caused by the mass invasion of polar bears in residential areas,” it said. 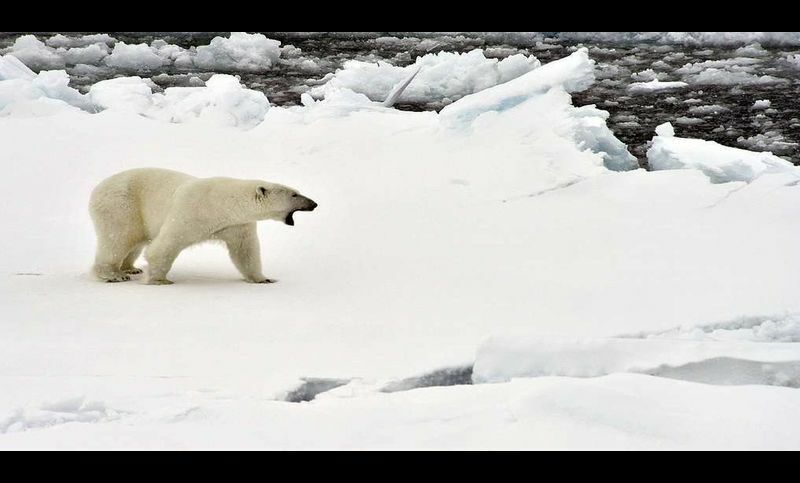 According to Alexander Minayev, the deputy head of Novaya Zemlya administration, dozens of polar bears gathered near human settlements from December 2018 until February 2019. At least 52 polar bears were spotted near the settlement of Belushya Guba. There were cases of wild animals’ aggression when they attacked people and entered residential buildings and offices. Between six and ten polar bears are constantly on the territory of the settlement. “Residents, schools, and kindergartens are submitting numerous oral and written complaints demanding to ensure safety in the settlement. The people are scared. They are frightened to leave homes and their daily routines are broken. Parents are afraid to let the children go to school or kindergarten,” says the statement. yielded no tangible result. The bears had no fear of signals used to scare them off as well as of patrol cars and dogs. The Russian environmental watchdog has refused to issue licenses for shooting the most aggressive polar bears. An expert team will be dispatched to the archipelago to assess and prevent the predators’ attacks on humans. The experts hope that firearms will not be needed to warn off the endangered species. However, provided that those measures do not help solve the situation, a cull will remain the only and forced answer. Novaya Zemlya head Zhigansha Musin said that the emergency would be effective until the local people’s safety was ensured. [military] garrison chasing people and entering residential buildings. However, if a cull is banned, we will have to embark on a long and less the safe way for local residents,” Musin said. “A total of 50 polar bears are near the human settlements so we have loads of work ahead,” he concluded.